Mariehamn has two Esplanades: one from east to west and the other from north to south. At their meeting point, there is a church. These photographs show houses on the east-to-west Esplanade between the church and the passenger port (West Harbour). 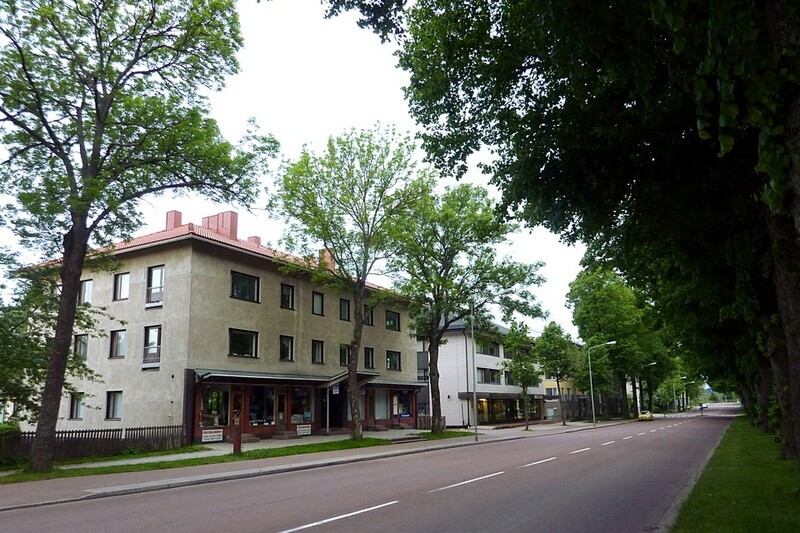 The streets are Norra Esplanadgatan and Storgatan.